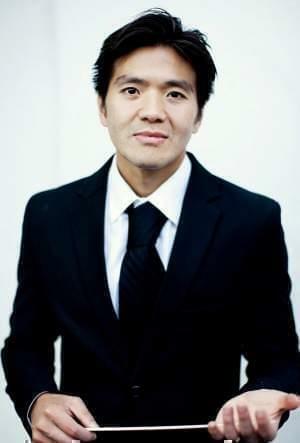 Sung Jin Hong's musical journey includes stops in Peoria and New York City. As a teen-ager In the 1990s, Hong, then known as David Hong, organized his own youth orchestra, the Peoria Youth Sinfonietta. The organization lasted for several years, as Hong moved from high school to music studies at Illinois Wesleyan University in Bloomington. One of Hong’s role models was the late Leonard Bernstein, the conductor and composer who spent many years in New York City and wasn’t shy about seeking a mass audience. A decade and a half later, Sung Jin Hong is himself composing and conducting in New York City, and making music that seeks a mass audience. One example is “Breaking Bad – Ozymandias, a short music drama which Hong composed in tribute to the TV series “Breaking Bad”. The 50 minute work had its premiere in New York City last January, at a concert of One World Symphony, for which Hong is conductor and artistic director. Hong says he first learned about the show last year from his sister, and was quickly hooked. Ah! That was the moment... that night. I should have never left home. I was at home watching TV. Skyler and Holly were in another room. She was singing a lullaby. that would have been perfect! Hong says using a TV show as subject matter for classical music is keeping with past composers who drew on the theater for their work. He compares “Breaking Bad”’s impact to the impact two centuries ago of Johann Goethe’s play “Faust”, which inspired music by Schubert, Gounod, Berlioz and Wagner. “Vince Gilligan’s “Breaking Bad” is like ‘Faust’ in a way, where (there’s) such a mass, widespread, not even acclaim, but just influence. You hear people talking about it even still, after more than a year of its season finale. Sung Jin Hong is now preparing another operatic work drawn from pop culture. “Hannibal” is drawn from Thomas Harris’ novels about serial killer Hannibal Lector, and the spinoff “Hannibal” TV series. Like “Breaking Bad – Ozymandias”, the work will be premiered by One World Symphony. Sung Jin Hong helped found One World Symphony while he was a graduate student at Bard College in New York City nearly 15 years ago. He says he was helped by his past experience leading the Peoria Youth Sinfonietta. One World Symphony has survived any early naivety and launches its 14th season with a pair of concerts on Sunday and Monday, October 26th and 27th. Their performance space is Manhattan’s Holy Apostles Episcopal Church, where the orchestra’s season includes an annual charity concert for the church’s soup kitchen. The new season is dubbed “Operasodes”, with programs drawing heavily from opera, and themed around TV shows --- the sitcom “New Girl” is the basis this weekend for opera highlights featuring distinctive female characters. Hong says an upcoming concert will use “Game of Thrones” as its theme. The premiere of “Hannibal” is set for next May.